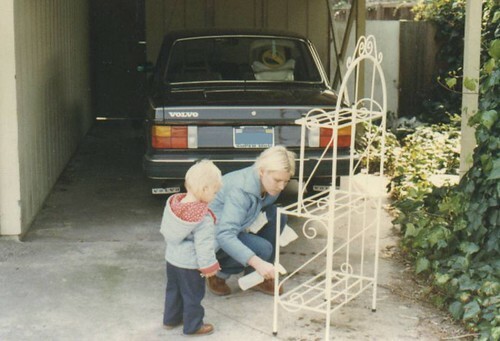 We are a mother (Pam) and daughter (Elizabeth) duo who's love of Volvos began with a 240-- a 1981 242 DL in brown and tan to be exact (notice Elizabeth's yellow steering wheel on the car seat above). Growing up, Pam had always loved the 122s. In high school, she admired the 164s. As a young adult, she was drawn to the 240s. 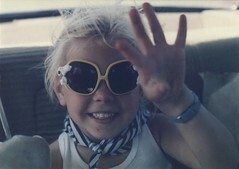 It wasn't until 1981 that she finally had the chance to drive and own a Volvo of her own. For Pam, the list of things to love was long, while for Elizabeth the best part of the car was the "Oreo cookie" air vent controls! A 1980 244 DL in brown and tan with 75,000 original miles. The car is a Sacramento original, first purchased at Turner Volvo and serviced by the first owner at Sacramento's Volvo Serivce. The first owner traded it in to a Ford Dealership where it sat for a while before it was bought by a small dealer near Sacramento State University, were we bought it. It was initially in pretty rough shape. Mechanically, the car had missed maintenance and needed some repairs to restore it back to a safe daily driver. Cosmetically, the paint was severely oxidized, especially on the hood, and the interior was so dusty/dirty that you could see the thickness of it and was very difficult to remove. Today, the car has 97,000 miles and is, as our neighbors say, "a nice clean old car." A white and tan S70. The first one was a 2000 S70 GLT purchased at Turner Volvo in 2003, but, unfortunately, was totaled in an accident due to another driver's poorly timed illegal U-turn during the evening rush-hour traffic in January 2008. 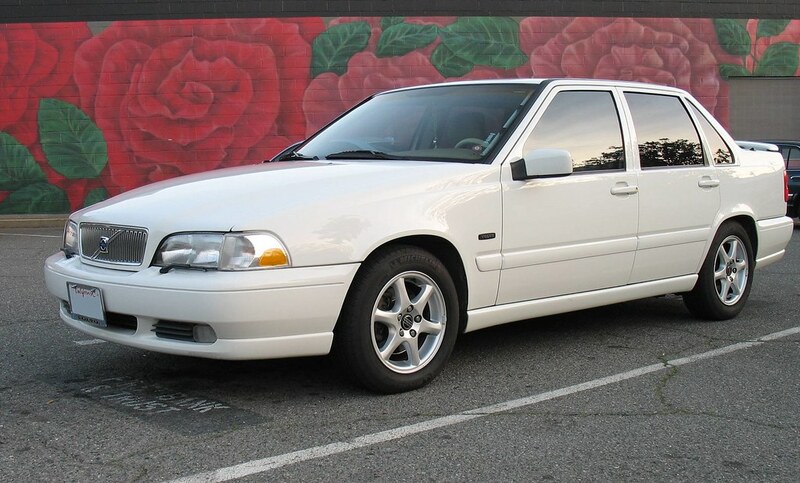 A white and tan 1998 S70 GLT with extra wish-list features that the 2000 did not have including fog lights, cold weather package, spoiler, and window tinting. The previous owner was from Arizona and added some cosmetic upgrades that we kept, like the stitched leather door panel inserts, and some that we restored back to stock, like switching the chrome aftermarket wheels to Volvo stock Antila wheels. 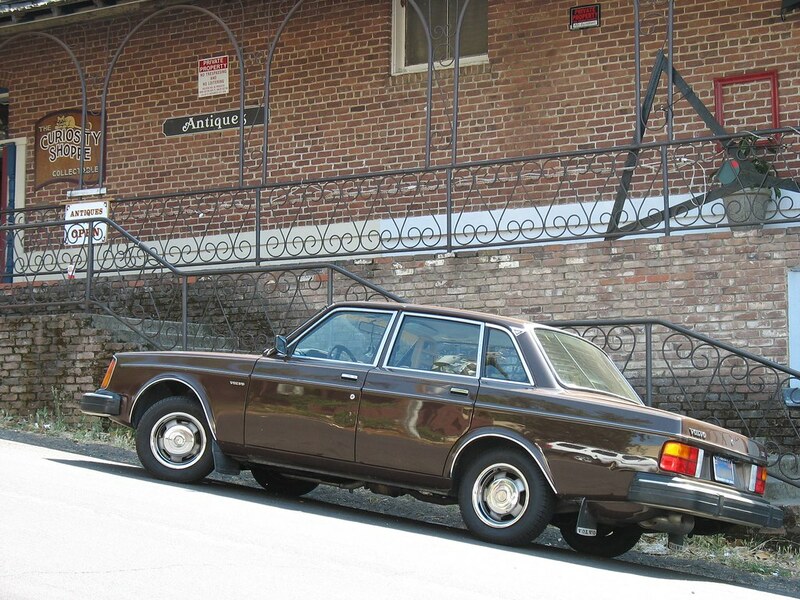 Although this car was bought from an independent used Volvo dealer in Northern California, it also had some missed maintenance and required some work to restore it to the safe daily driver it is today. Currently, the car has 129,000 miles and we are looking forward to many more years with this car. 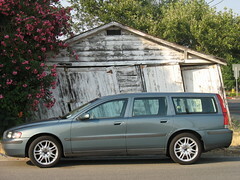 This car was also purchased at Turner Volvo as a certified used car in 2006. 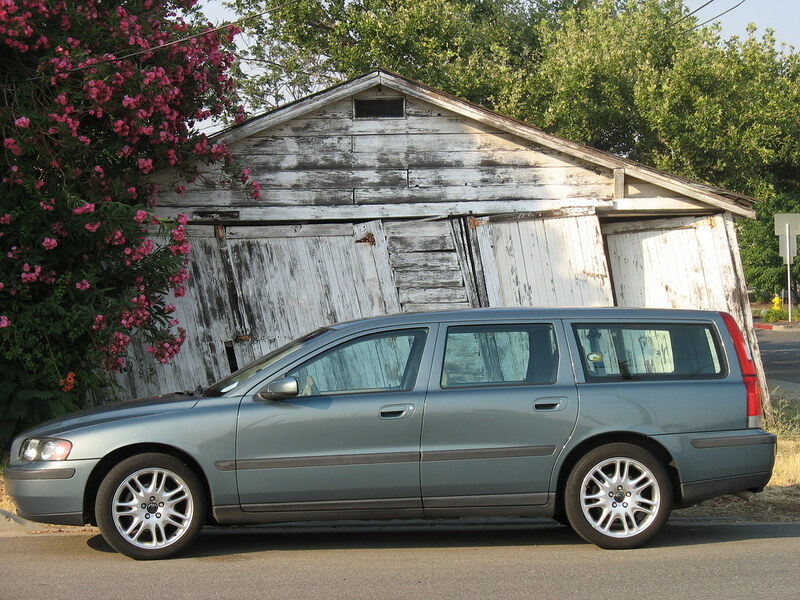 The previous owners were a young family who outgrew the wagon and needed to up-size to a XC90. Since we've purchased it, the wagon's duties have been re-assigned from transporting tiny tots to hauling stuff. And, even with all the various things we have packed it with the past couple of years, whether that be bicycles, storage containers, garden supplies, road-trip supplies, etc., we have always been able to fit everything in the wagon (without having to make multiple trips) and have yet to realize its full storage potential. Current mileage is around 38,000 miles and we are looking forward to many more opportunities to try to realize its full storage capacity! When not driving their own Volvos, the Browns can be seen admiring other Volvos in parking lots, in old towns and antique shops, at State and National Parks taking photos of wildflowers and the scenery, or in the garden smelling the flowers and feeding the birds.